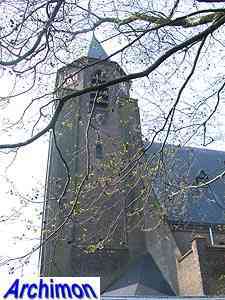 Honselersdijk is an old village, but in the Middle Ages it had no church. 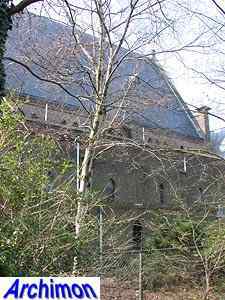 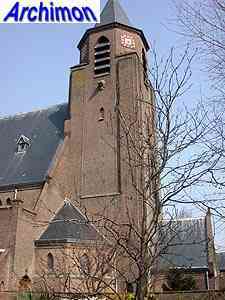 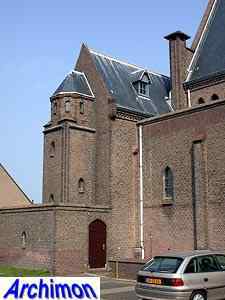 There were however two chapels, one belonging to the local castle, the other belonging to the church of Naaldwijk. 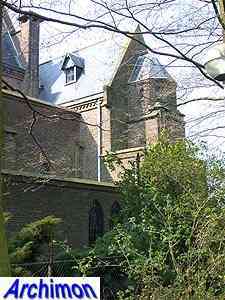 After the Reformation the protestants of Honselersdijk depended on Naaldwijk, while the catholics attended a hidden church in Poeldijk. 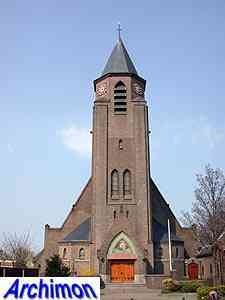 In 1907 Honselersdijk finally became a parish. 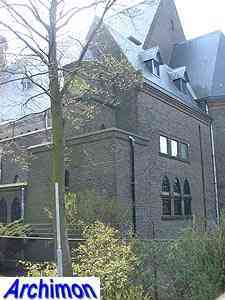 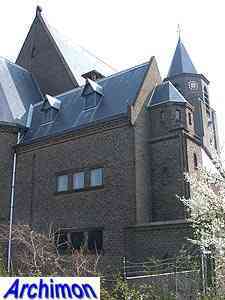 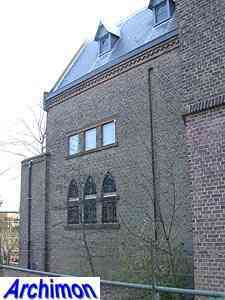 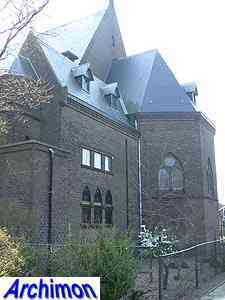 An old auction building was turned into a church, and architect N. Molenaar built a presbytery next to it. 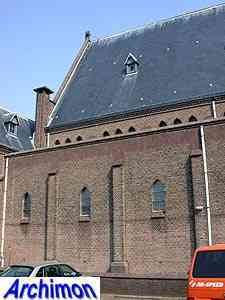 In 1928 the auction building was replaced by the current church, designed by N. Molenaar jr., son of the architect of the presbytery. 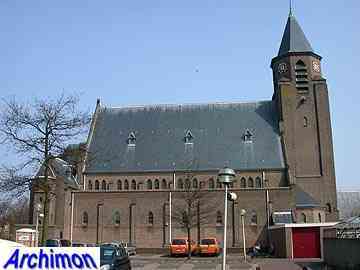 It's a three-aisled basilica with a wide central aisle and narrow, flat-roofed side-aisles. 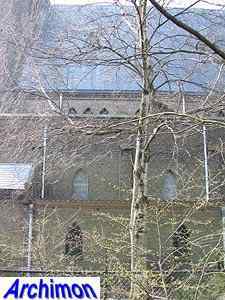 The choir is lower and narrower than the nave and is flanked by additional spaces. 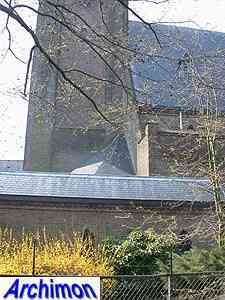 The frontal tower has a square tower ground plan and an octagonal upper part. 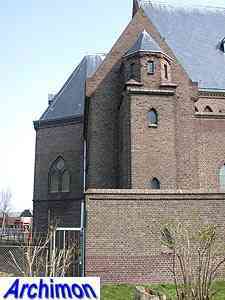 At its front is an external portal. 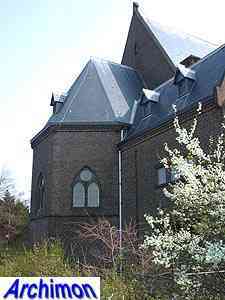 The church was designed in a Traditionalistic style with neo-Gothic influences. 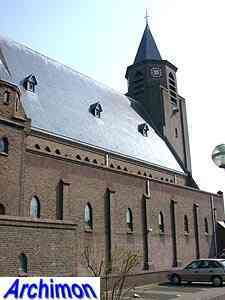 Back to N. Molenaar jr.